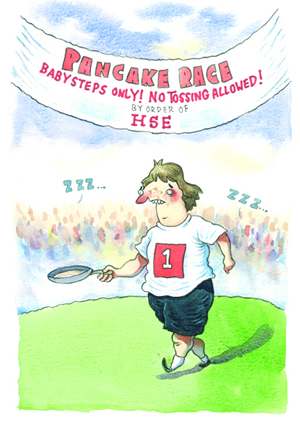 Health and safety requirements were given as the reason that a pancake race couldn't take place last year. A straightforward event like this one only needs a short, simple risk assessment. And when an event has taken place lots of times before, all that's needed is a review of the previous assessment - just to check nothing has changed - so that the fun can go ahead!